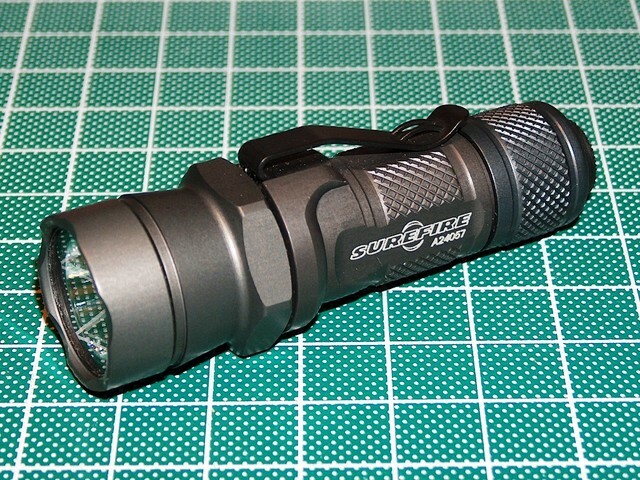 The Surefire L1 has all driver circuitry in the body of the flashlight, while the head is “dumb,” containing just the Luxeon and a simple battery contact. 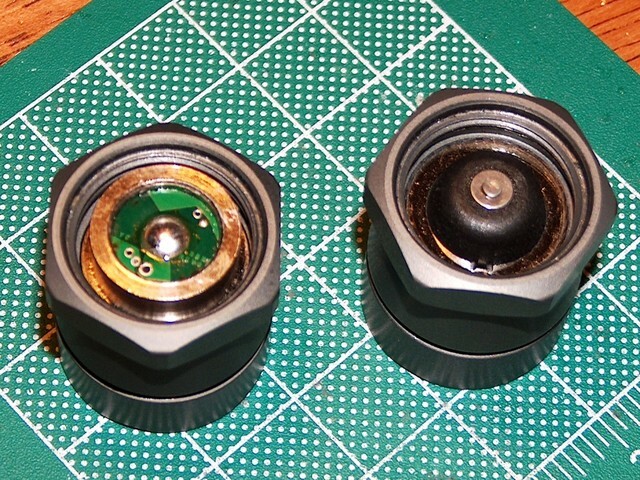 Removing the battery contact from the head is pretty simple. Once the bezel ring is removed, the NX-05 optic falls out, and the two lead wires can be desoldered. Once the lead wires are free, feeding them through the heatsink will release the battery contact from the bottom. I planned on installing a Nexgen boost driver using an Ecan from the McLux project, but the Ecan is slightly too tall to fit properly in the L1 head. Removing a bit of material from both the top and bottom of the Ecan on a lathe is all that’s needed to adapt it to the tighter diminsions of the L1 head, though. Of course, while I had it opened up I replaced the stock NX-05 optic with a more refined IMS SO17XA reflector. 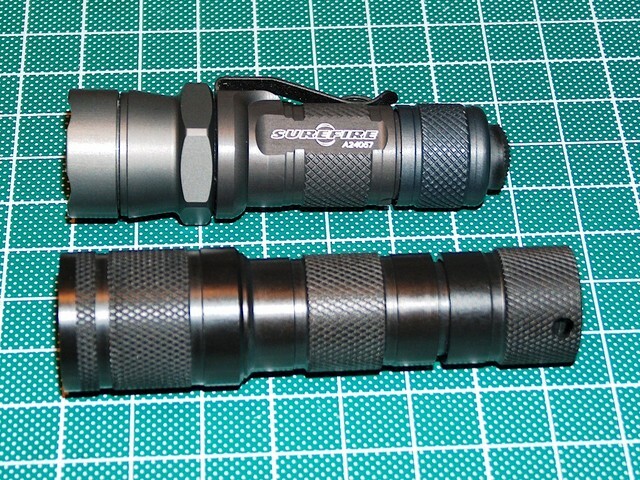 The L1 head is the smallest head that Surefire makes - far smaller than either the E1e head or the KL1, and it makes a very pocketable light cannon when combined with the E1e body. This entry was posted on Saturday, November 6th, 2004 at 22:54	and is filed under Surefire. You can follow any responses to this entry through the RSS 2.0 feed. Both comments and pings are currently closed.